Working closely with FCB Inferno, Mill+ created this thrilling 360 driving experience for BMW to help tell a story of car evolution. 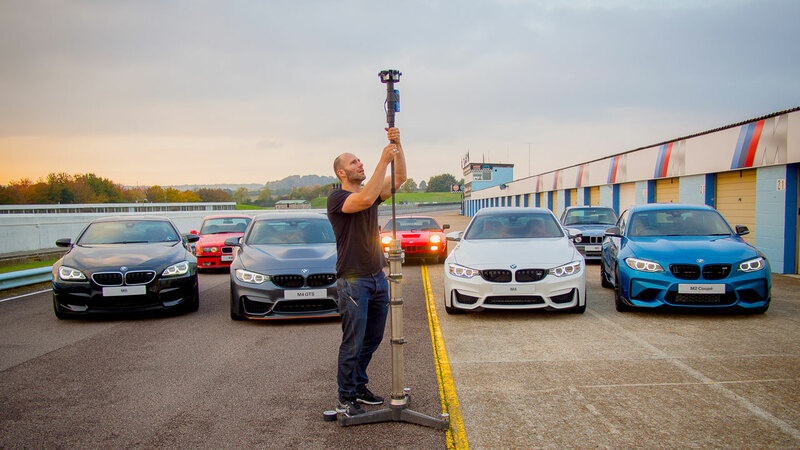 The 360 experience, shot at Thruxton Race Track, thrusts the user into the driving seat of 'BMW Hero' cars representing four different generation vehicles of the BMW 'M Series', to promote their latest driving experiences. The team used a wide range of retro imagery to ensure the user gained a real sense of being transported in time through the 1970s, 1980s, 1990s and early 2000's, nodding to various models and moments in racing history in the process. Mill+ Director Aidan Gibbons comments, 'I was really keen to get involved in this project early on. The BMW 'M Series' set a new standard of performance cars in many ways. The opportunity to tell this story of how the 'M' evolved over the last 4 decades doesn’t come around very often. Shooting in 360 was a perfect medium to place you right in the centre of that story. Using custom built camera rigs, we place the viewers in the passengers seats of the E9, M3 and M4 GTS, driven by some of the UK's best precision drivers. We even mounted custom 360 rigs outside the cars, right above the ground as they battle it out on the UK’s fastest race circuit.